Warm welcome visit our page, this is Shenzhen Unique furniture ltd , we are a direct factory mainly do customized for mall kiosk and display showcase, we are a direct factory mainly do customized for mall kiosk and display showcase . Project : ice cream kiosk . Color : white , purple . Design : 3 D drawings . Delivery : 15-18 work days . 2. Detail images about this ice cream kiosk . 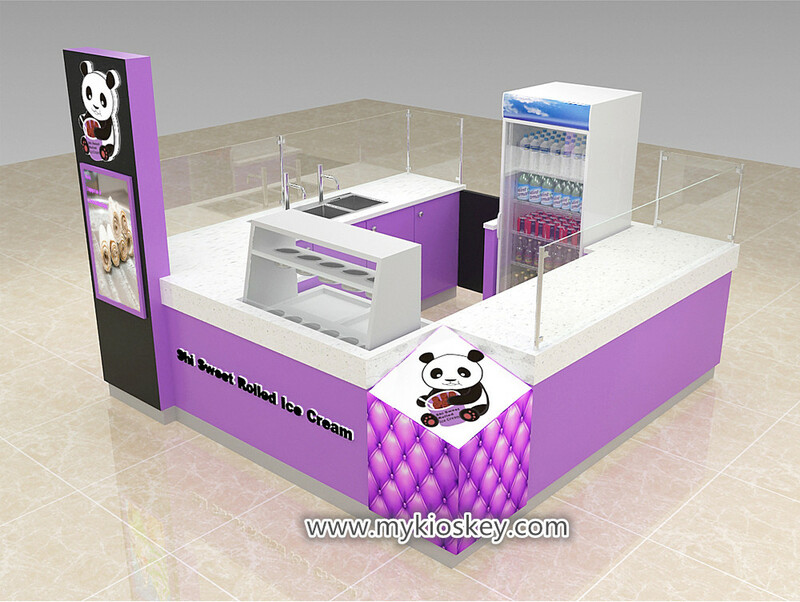 As you see this ice cream kiosk, size about is 3m by 3m , mainly material is MDF, surface is white and purple glossy baking painting finished , white man made stone worktop, wooden cabinet , all of anything about this kiosk can customized for you. We will provide free suggestions for you with all your requirements . We will promise it when it arrive you. free . 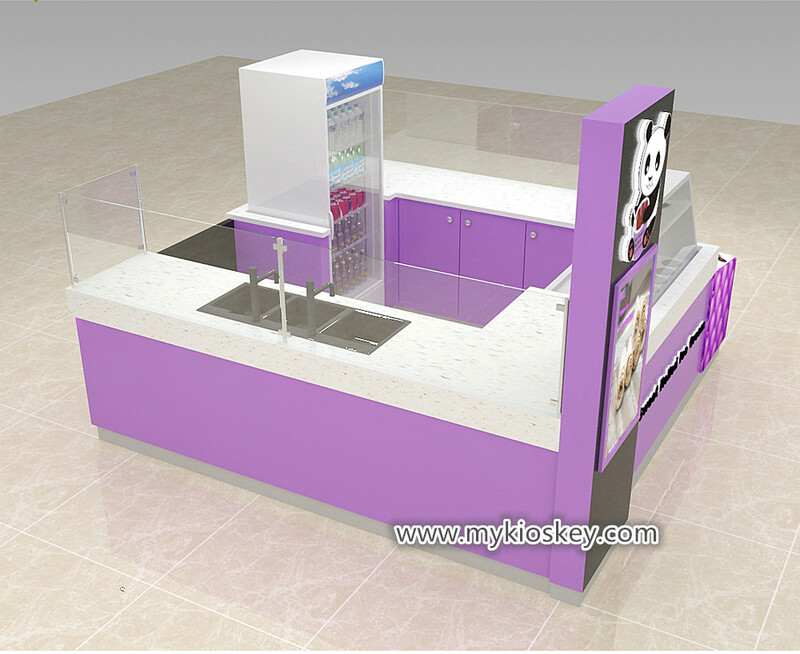 We are customer made cosmetic shop furniture factory. We will buy insurance for you. 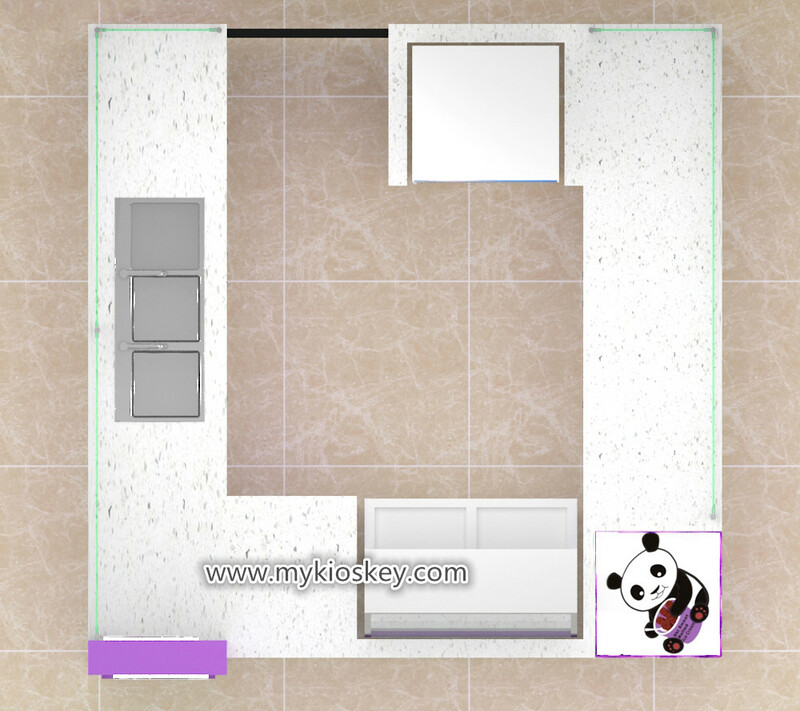 We will provide free 3D design picture to tell you how to install it. Thanks for your time and reading , if you need more further info about this ice cream kiosk, pls feel free to contact us , thank you !